This economic impact study, conducted in partnership with the Indiana Office of Tourism Development, showed how tourism benefits the counties. Jim Epperson, director of the Clark-Floyd Counties CTB, says the report shows the value of tourism in the local community. Direct visitors spent more in 2015: Visitors spent $305 million, which is an overall increase of 15.2% in Clark and Floyd counties over 2014. Double-digit increases: All of tourism’s five industry categories had double-digit growth over 2014 levels. Keeps profits local: Visitor spending benefits local businesses: because tourism is made of small business owners, much of visitor spending benefits the local area. With every dollar spent in the tourism industry locally, 79 “stays” in the local area. A Top 10 industry: Tourism is the region’s eighth largest industry (seventh, not including Government). 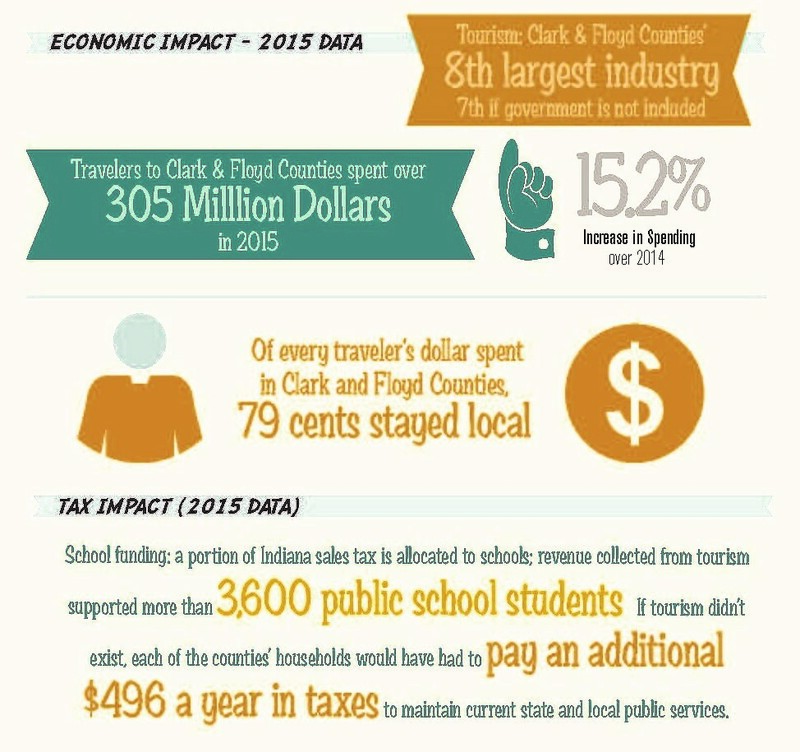 Supporting education: Because a portion of Indiana’s sales tax is allocated to schools, tourism benefits education. Tax revenue collected from visitor purchases here is sufficient to support more than 4,250 public school students. Relieving residents’ tax burdens: Visitor spending generated about $40.6 million in state and local tax collections. If tourism did not exist in our cities, each of our 81,817 households would have to pay an additional $496 each year to maintain current state and local services. Supporting jobs: About 6% of all jobs in Clark and Floyd counties are supported by tourism. Given this data, we know tourism can play a role in Southern Indiana’s development. But how can we make the communities stronger, more competitive and more successful? Epperson says the Bureau can’t do it alone; nor can it be done by just one community. It takes teamwork. No single entity will be responsible for the region’s success. 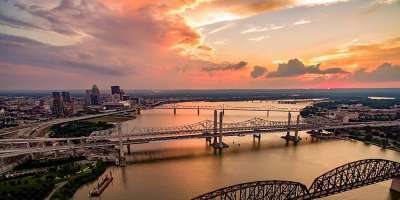 Our communities are small, but our location – next to a metropolitan area like Louisville – makes us an exciting destination with lots of possibilities. “We’re not going to suddenly turn into Disneyland,” says Epperson. “The way our region will become competitive and successful is to work together. Want to become more involved? Contact the Bureau staff.